Whilst its been an extremely busy year for events in 2016, we bring the curtains to a close. We’ve been to some high-end venues with our hire equipment and have also attended some outstanding brand launches for our many corporate events that we carry out. The summary of some of the years’ events is to follow. We have attended many occasions with our Magic Mirrors, Photo Booths and Seflie Pods. Here’s to another year of awe-inspiring entertainment. 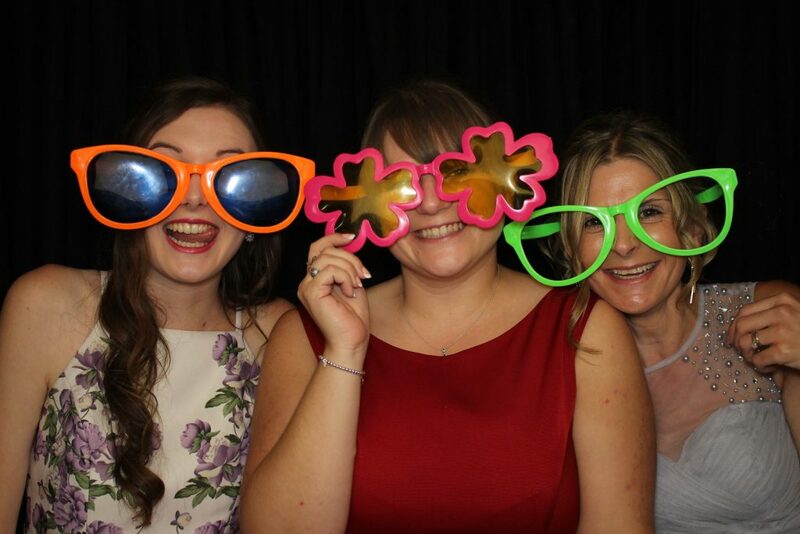 A Photo Booth Hire in Stockbrook Manor is one of our favourite places to be. We constantly attend weddings almost every month as Stockbrook & we’d love to attend any upcoming wedding in the near future. We are constantly on the lookout for these local photo booth hires in Essex & stock brook is one we prefer to attend. Stockbrook Manor is set on over 250 acres of grounds & is set conveniently in the picturesque village of Stock. The beautiful manor house draws its designs and inspiration from a Lutyen feel. The breathtaking venue is set over a 27 hole golf course that genuinely sets this venue apart from the other local wedding venues in Essex. The staff provide fantastic service for any occasion, be it a corporate event, wedding or general party. With most of the venues situated upstairs, they also offer a room downstairs & off the side of the building and can cater for a huge variety of occasions. Needless to say, this venue is a ‘must be’ place for whatever event you’re planning & if you’re looking for that WOW factor, Stockbrook Manor definitely offers this great feeling. We usually supply our photo booths to the room upstairs due to the easy lift access up to the room. We have a choice of photo booth set up areas & usually go directly in front of the lift (on the other side of the room) or around the corner next to the bar. Depending on whether your venue is upstairs or downstairs, we can fit out booth just about anywhere you like! Hires are coming thick and fast at the moment and there’s no rest for me as we was in Clacton-on-sea over the weekend for a gorgeous wedding. The theme of the evening was Vegas so it only seemed right that we had the Las Vegas skins with the ever popular photo booth. All guests enjoyed the photo booth in the evening, with even one guest saying “it’s the most fun I’ve had in a while” and it’s always great to hear things like that. The team was in Southend-on-sea over on Wednesday for an 18th birthday party at a house. We had our Marvellous Magic Mirror in the evening which was very popular. The birthday girl also had a chocolate fountain in the evening as well. The party went very well and the birthday girl thoroughly enjoyed herself. OMG was in Surrey at the weekend for a wonderful wedding. The venue was Botleys mansion and it was a stunning venue, it had huge grounds and in the room where the reception was being held, it was decorated stunningly. We had a Photo Booth with us at the wedding and it went down an absolute storm with guests using it all evening, meaning the guestbook got nice and full. All in all, it was a wonderful evening with all guest enjoying themselves. We was over in Chelmsford at the weekend for Nick & Andree’s wedding. It was a beautiful reception with everyone dressed to impress. We arrived at 6:30, just in time to hear the speeches which were wonderful and very heartfelt. The guests then moved onto the dance floor to bust some shapes and use the ever popular photo booth. Guests were queuing to about 10ft back just to get their turn in the booth, in addition, the bride and groom had given out cards that had really funky stamps on that the guests could exchange for a keyring. The bride and groom were very happy with their guestbook at the end of the evening and we wish them every success for the future. The team was over at The Rayleigh Club over the weekend for a joint birthday between a brother and sister. The party was fantastic with lots of people attending to celebrate the joint occasion, the drinks were flowing and everyone was rocking on the dance floor. We had two guestbooks on the night, one for each birthday, which by the end of the night both looked great. The booth itself was very popular amongst the party goers. Both the team members had a fantastic evening and would like to wish a very happy birthday to them both! The team was over at one of the biggest wedding shows over the whole weekend, the Chelmsford City Racecourse wedding show is renowned for being one of the biggest in the UK. On the first day, it was extremely busy and the team were very talkative all day and engaged with a lot of people over the first day. The second day was quieter but they still engaged with a lot of people. We attended a fantastic staff party the other day at Saxon Hall in Essex, it was a Candyland party which looked outstanding, the walls were decorated with large inflatable sweets and inflatable chocolate bars on the walls. In addition, they also had a large sweet table with a huge variety of sweets and chocolate. We had a lot of fun at the party and hope everyone who was at the party enjoyed the photo booth that we had there. Another wedding show that we attended at the weekend at Warley Park. The show started at 11 o’clock in the morning and we were there all day till 4 o’clock in the afternoon and in that time we spoke to numerous brides-to-be about their big day, we heard some wacky ideas that people had, but other people had more conventional ideas. It was fantastic to meet you all there and we hope you enjoy speaking with the team. We were over at the Ivy Hill Hotel wedding show on Sunday and met some fantastic people whilst there, the exhibitors were very friendly and everyone who walked in and spoke to us was very keen on booking with or getting more information. The wedding show was slow to begin but the first few people were through the door, it was quick to pick up. The guys were also at the Hanbury Manor wedding show over the weekend, which we’ve been told was lots of fun. The team arrived and had set up by 11 o’clock the show was very busy from start to finish and the team informed me that they spoke to about 100 people which are amazing to hear and get an indication that the booth was very popular. Thanks to Hanbury Manor for having us. The team was down at Cromwell Manor over the weekend for their fantastic wedding show. The place was packed from start to finish the guys spoke with a lot of brides-to-be and I’ve been told that they were very eager to find out more about the booth we had there. Lots of photos were taken and a lot of laughs were had as well. Thanks to Cromwell Manor for having us and we look forward to the next time we’re there. The team were at another wedding show over the weekend, this time it was the Vaulty Manor wedding show which is always a personal favourite of mine. It was busy from start to finish and the team spoke to a lot of interested people about the products that we had there on the day, and I’ve just looked over the pictures and it looked like everyone had a good time. We had another wedding show over the weekend. The team was over at Great Hallingbury Manor and I’ve been told it was very busy and there were a lot of interested brides-to-be, who were very eager to take a closer look at our award-winning booth. A couple of brides were so eager that they took the plunge and book in there and then ready for their big day. The team were so pleased that so many people approached them. I was over at Unit 7 in Basildon, for a fantastic wedding show. The wedding show started at 11 o’clock in the morning and there was a massive queue outside the door with plenty of brides-to-be were eager to get inside and check out the great stalls and companies that were there. Throughout the day the guys and I must’ve spoken to about 50 brides-to-be which is really encouraging and all of them were really interested in the booth that we had there on the day. We had a great hire over the weekend at Woodlands Park Hotel, which is a beautiful venue with stunning surroundings. The guys arrived at the venue at 7 o’clock ready for the 8 o’clock start time and the team was ready to go. The booth started slowly but picked up in throughout the night and by an hour in the booth was extremely popular. They also had a fantastic firework display that everyone loved and all of the kids has sparklers to play with. All in all, it was a fantastic night and everyone loved the booth. We were back at the Roslin Hotel over the weekend for a great wedding. The wedding had an underwater theme and everyone was asked to bring something nautical to the wedding as a fun gesture. The party was in full flow by the time that we got there and set up. We were up and ready to go by around 8 o’clock, and the booth was full for the full 3 hours. The team was in Southend-on-sea over the weekend at the Roslyn hotel for a brilliant staff Christmas party. The party was well and truly in full flow and the staff was in the mood to let their hair down. The drinks were flowing and the music was blaring, the booth was also very popular with some people coming back for five goes of the booth. We had the greenscreen dream machine which meant that people were able to choose what background they want and what print style accompanied it, the favoured background of the night was the underwater background, which made sense as we were next to the sea. We was over in London this week for a corporate hire. The venue was the beautiful Boyd’s Grill and wine bar at 8 Northumberland Ave, right in the central London. The party was fantastic and really gave the staff a chance to let their hair down and celebrate a great year they had. All the guests were really enthusiastic about using the booth and some were even coming back seven or eight times for more. Cooling Castle Barn was on the cards on Sunday, for a wonderful Christmas wedding. We’ve been to this venue a few times this year, but it was this teams first time visiting and we were amazed by how grand it was. We had the Magic Mirror with us and it went down extremely well with all of the guests and the happy couple. The evening had a brilliant firework display and sweet cart so all in all, it was the perfect evening all round. The team were over at Oaks Farm Barn over the weekend for Jade & Keith’s Wedding. The venue was a lovely little woodland area and also had a beautiful authentic barn that really looked the part. The happy couple really did put on a show with a cracking DJ that was playing some really great songs. They also had awesome little cakes that were for everyone. All in all, it was a great wedding and we wish the happy couple every success in the future. Back to back hires at Leez Priory over the past two weeks. This time we were in attendance for Mr & Mrs Ditchmen’s Wedding, it was a beautiful wedding with a light wood theme that went really nicely with the booth. They had a fantastic firework display for all of the guests to stand and enjoy, they also had some great looking sparklers for all the guests to enjoy and wave about. The booth was busy all night and some guests were coming into the booth six or seven times, and we had a guest book on the night as well which was filled with lovely messages. It was a fantastic night and we wish the happy couple every success for the future. The guests loved signing messages into the book and showing everyone the great pictures they had just taken. We were over at the Thurrock Hotel over the weekend for Mr & Mrs Millar’s wedding. The hire started at 8 o’clock and the booth was popular from the start, all the guests were loving getting dressed up and the bride and groom lead the party by being one of the first in the booth and we were busy for the rest of the night. Mr and Mrs Millar had a guest book on the night and was full by the end of the night, with lots of lovely messages and comical photos. Congratulations to Mr & Mrs Millar and everyone at OMG wish you every success in the future. We was over in St Albans over the weekend for Gabby & Megan’s 18th birthday party, it was a great night and we had lots of fun. The party guests were in full spirits and in the mood to party (that’s when they weren’t in the booth every other minute) we took the most pictures on that night that have ever been taken, which is always fantastic to see. In conclusion, all the kids had a cracking night and even the parents slipped into the booth for a cheeky picture, which was very amusing. This weekend we were over at the Thurrock Hotel, for Mr & Mrs Norris’s wedding, it was a gorgeous wedding with a beautiful red theme, which the all red both fitted in nicely with. The booth was very popular from the beginning of the evening and then only got busier as the night went one. There was a great DJ at the wedding, that was playing some absolute classics including some great 80’s classic, that we enjoyed. In conclusion, we had a great time at the wedding and we wish every success to the happy couple. We were over at The Ye Old Plough House this weekend for a wedding and it was a beautiful wedding in a very beautiful venue. From the feedback we got given from the staff, the booth was very popular and was busy all night and the guest was loving our award-winning booths. They also said they had never taken so many pictures before, which was always nice to hear. In conclusion, we’ve heard it was a lovely wedding and we wish the happy couple every success. The OMG team were over at highlands house over the weekend for a fantastic Indian wedding. We arrived at the venue at 9pm, ready to go for 9:30 and we were busy from the start and everyone was very excited to see the UK leading photo booth provider at the party and comments about how great it is were flying about. Near the end of the night, we were given great free sweets that were very tasty, and there were plenty of guests still coming to the booth by the end of the night. overall it was a fantastic celebration and one we were very happy and privileged to be a part of. Over At The Rayleigh Club! On Sunday 9th October 2016, OMG! attended a wedding show with a company called Main Event. We attended the show at Pontlands Park, which is a stunning venue with a beautiful drive way running up to the estate. There’s parking behind the main door which is a discreet way to set up our equipment in the marquee out the back. OMG brought along a Magic Mirror and a Selfie Pod with our vintage set up, the magic mirror had our brand new software on that stands out to so many other mirrors on the market today. With this new Austin powers voice, guests can interact with our interactive entertainment on a level that they’d have never seen before. A magic mirror is always a great way to capture fun and laughter on a hire. The reason we bring it to wedding shows is because its almost like entertainment, photography and favours for your guests to take home, all wrapped up one one package! Its perfect for the evening, because guests can let their hair down once the drinks start flowing. Usually when the guests get their photos on the selfie pods and magic mirrors, they’ll take them home to pin up on their wall. Pontlands park was a great opportunity for OMG to explain all this to our potential clients. now, the magic mirror is always an eye-catcher, but if you’re looking for something different (and a lot of brides were) the selfie pod is just as awesome as our magic mirror hire at Pontlands Park. Much like a photo booth, a selfie pod can capture the moment and print out your photos there and then, for guests to take away. The vintage looking selfie pod is a must have if you’re looking for a space saving alternative to a photo booth. The quality of our selfie pods are unrivalled and the specs remain exactly the same. In all of our pods, we have DSLR auto focus cameras, soft studio lighting, sub dye printers and touch screen HD TVs. If that wasn’t enough, all our equipment comes with a hilarious prop box very everyone to dress up with and enjoy the night whilst create some unique memories. Thanks to everyone that booked us whilst at the show – we can wait to be part of your big day and look forward to seeing you in 2017 & 2018. We attended the Indee Rose Trust ball once again at the cliffs pavilion. The Indee Rose is a charity that was founded in 2009 that helps children and families that have been diagnosed with Spinal or Brain tumours. Our friends at Indee Rose help by providing children with special gift boxes that cheers them up over such a stage of life, they ensure that even though these children are suffering, they are always happy. The family have also generated a one-off grant that can help towards any equipment that is needed to support their child. We provide a photo booth for indie rose with a charitable discount to ensure that the night is a huge success. The mirror went down extremely well in the evening, just as the years before. Last year we had a photo booth which provided a great part of the entertainment to the evening. This is the perfect place to dress up and enjoy the night and from the photos, we can always see that everyone has such a great time. We can’t wait to be part of this charity ball again next year and look forward to speaking with you soon! The infamous OMG team were at Crabbs barn over the weekend for Karen & Gary’s Wedding, the 2 team members were greeted by friendly and welcoming staff as per usual, and it was very easy to get in and set up. The booth was up and running by eight o’clock and was busy from the off. The guests were very enthusiastic about using the booth and all wanted to keep coming into the booth (which is something we always love) We also had key rings to give away to all the guests which everyone seemed to love, with some guests having 9 or 10 keyrings, it did leave us wondering how many keys they had but the team was too busy enjoying themselves to think about that too much. All in all, it was a very successful hire and the bride and groom were very happy that they had a booth on their special day. Congratulations to Karen & Gary on their wedding day. It was a great evening and we enjoyed it a lot. Round up on our month! It has been a busy old month here at OMG with us attending over 800 hires just in the past year alone. It has been such a pleasure to attend such a large amount of events so far and we look forward to attending much more. On a plus side, it’s always a bonus that we get to share the happiest day of peoples lives and we feel truly blessed and honoured that you have selected us to attend such a momentous occasion in your lives.